At Redwitz, Inc., our reputation for proactive tax planning sets our firm apart from our competition. We believe that innovative and effective planning can make a significant impact in our clients’ tax liability on a business level and personal level, as well as aiding in wealth management strategies for individuals. As such, we have a strong commitment to plan the tax position of our tax clients during the course of the year, in order to minimize your overall income tax liability. Finding ways to decrease your annual tax burden can make a significant difference in your company’s bottom-line. As your trusted tax compliance advisors, Redwitz, Inc. provides tax consulting services for companies from the start-up stage to multi-national organizations. 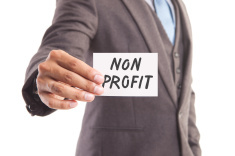 Redwitz, Inc. also does a great deal of work in the not-for-profit tax compliance area. Our professionals have broad knowledge in this complex area of the tax law and can provide expert guidance for your organization.